Solar panels are becoming ubiquitous around the world. 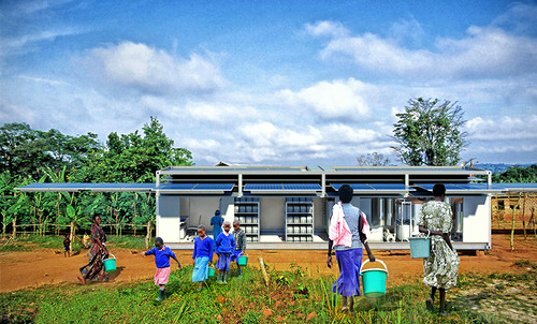 The Ecos PowerCube® was designed to aid people in need of water, communications. Innovation is alive and thriving on planet Earth, with all sorts of new practical and useful prototypes emerging on the scene. It’s one thing when money is the main motivation of creation, but we still continue to see inventions designed with bettering our lives in mind. Following are a few hot tickets we came across. Peculiarly, inventors across the world continue to implement the classic pedal-powered bike into their 21st century designs. Getting two birds with a single stone, there are at least two pedal bikes that have been designed to purify water through peddling. IDEO’s Aquaduct, technically a tricycle, was designed to address water and transport needs in the developing world. 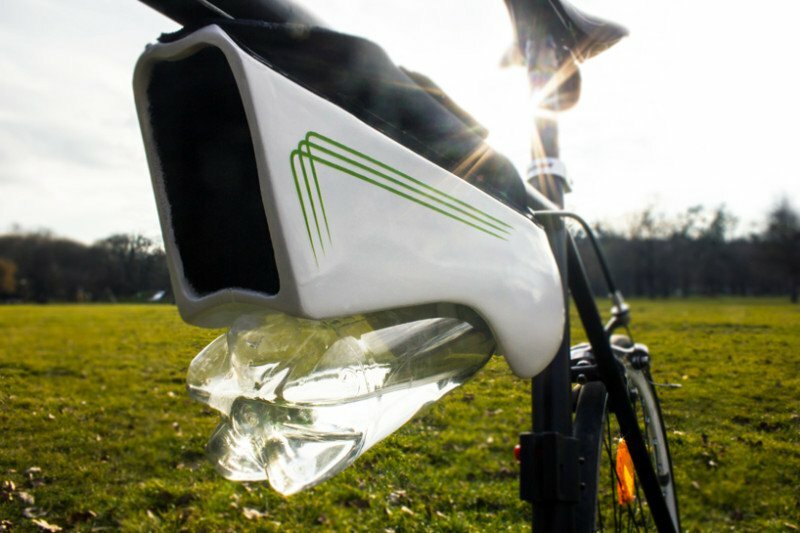 Even more cooler, in our opinion, is Austrian designer Kristof Retezár’s Fontus (jamesdysonaward.org/projects/fontus-2/) whose working concept is a bike that literally pulls moisture from thin air while you pedal, and stores it in a container as clean drinking water! And according to Kristof, it can produce up to half a litre per hour in hot and humid places like Phuket. It does so using motion and condensing principles, be sure to read more on its website for specifics. Whether or not you believe in climate change, global warming or the predicted “Grand Solar Minimum” (i.e. global cooling or upcoming mini ice age) does not negate the fact that natural disasters are an all-too-common occurrence impacting millions every year. Yet, our reaction to every new disaster seems to be little more efficient than decades ago. We still struggle to ensure sufficient aid, clean water, communications and energy so as to alleviate disaster victims in a timely matter. There are simple albeit innovative solutions available now though. 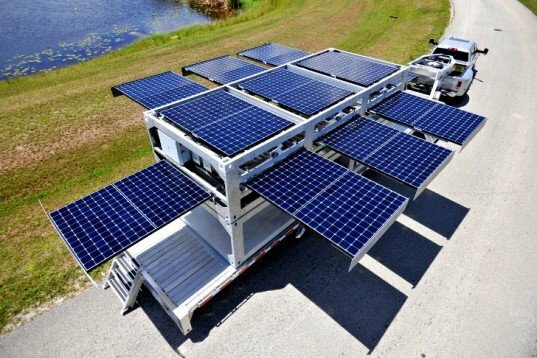 Okay, so it’s not that complex: a modular structure fitted with solar panels, a wind turbine, batteries and the option of supplemental water filtration and communication components. But hey, sometimes, simple is all humanity needs. And such a concept is simple enough for any local engineer to model or emulate, so as to fit their community’s needs with available materials. Look at the tag inside your shoes, or shirt, or the small print on the back of your smart phone, computer or other IT gadget. There’s a good chance these days it was “Made in China”. This 20th century iconic branding usually conjures up images of some crowded factory full of uniformed peasants on the equivalent of 3 dollars a day working hard and quickly to feed a family of six... But it’s 2015 and we will need to update that stereotype soon and replace those “peasants” with “machines”. Changying Precision Technology Company, located in Dongguan city in the Guangdong province, has recently laid off much of its 650 employees and replaced them with robotic manufacturers that only require about 60 human staff to operate. The factory, which produces cell phone parts, has reportedly improved production by nearly 300 per cent since making the move, and many factories located in the surrounding region – which has been dubbed the “World’s Workshop” due to the number of factories there – are following the lead. With all the idle jobless workers in the populated region, could this mean the beginning of the end like in the movies?